I was recently wondering how the French celebrate Easter. Do they fill up baskets with sugary treats of chocolate and jelly beans like we do? Do they have an Easter bunny? What flowers do they decorate their homes which? According to an article in France Today, written by Sarah Dunn, "Easter is a holiday that is celebrated just as enthusiastically in France as it is in America, although traditions do differ. One of the best French Easter traditions is that of the Cloche Volant, or flying bell. On Good Friday (vendredi saint) all the church bells in France are silenced. As legend has it, the bells fly to Rome to see the Pope. On Easter morning, it is said that the bells return from Rome just in time to ring out and joyously declare that Jesus has risen again. Much like the American Easter Bunny, the main symbol of the Easter season in France is the Poisson d'Avril, or April Fish. Children play at sticking as many paper fish onto the backs of ignorant adults as possible, and then run away screaming "Poisson d'Avril!" 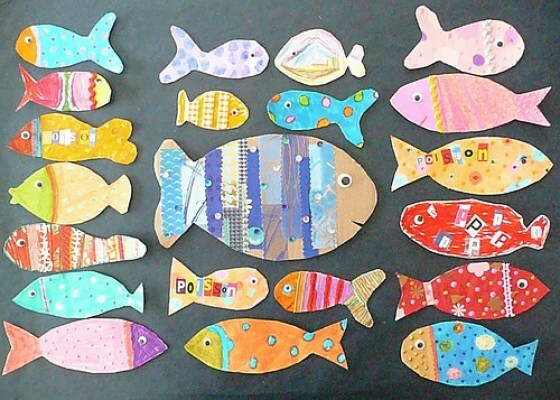 These paper fish start swimming into stores as early as April 1st, joined by more fish, this time of the chocolate variety, a week later. Classic chocolate Easter eggs can also be found in sweets shops throughout France—the first chocolate eggs were made in France and Germany in the nineteenth century." Fish! Well, that's just perfect for those of us that love the French Seaside, isn't it?. 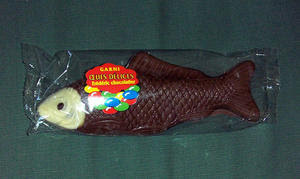 The French love chocolate fish too, not just paper ones. About-France.com shares these French Easter Traditions, "As throughout Europe, Easter in France rhymes with Easter Eggs. But Easter Eggs in France are just one among many other options as far as Easter gifts are concerned. The essential common ingredient, however, is chocolate. 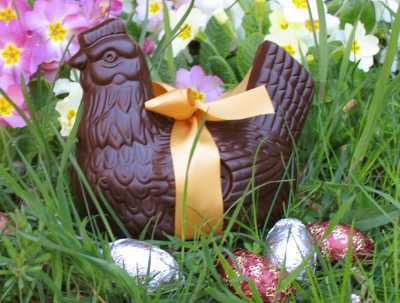 While supermarkets of course sell industirally produced Easter eggs and other tokens, many French people will prefer to get their Easter Eggs, chocolate Easter Bunnies, Easter Hens, Easter Bells or "friture" from a local bakery, patisserie, or - for the top quality - a local "chocolatier". 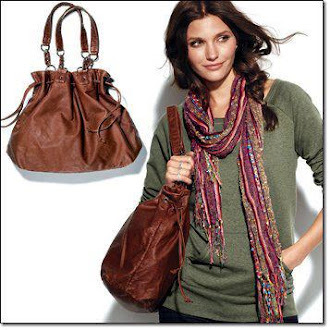 And generally speaking it's worth the little (or sometimes considerable) extra cost. Local bakers, patissiers and chocolatiers pride themselves on making good-quality Easter chocolates, often individually decorated and presented with loving care. Eggs, bunnies and other chocolate animals come either "garnis" or "non-garnis" , meaning filled or unfilled. Filled versions usually contain small chocolates, or small sugary eggs - and often a mixture of the two. Easter is traditionally a family celebration in France, and an excuse for a good family Sunday lunch, for which the traditional meat is roast lamb. For children, a traditional Easter pastime is hunting in the garden (or even in the apartment) for hidden chocolate eggs that according to tradition have been brought back overnight from Rome by the "Easter bells"; church bells in France traditionally remain silent from Maundy Thursday until Easter Sunday." I feel well informed now and excited to see that chocolate is such an important part of their Easter holiday too! Happy Easter Weekend to you and yours. I enjoyed reading this and the French do it lovely! Thanks for sharing ... have a lovely day!